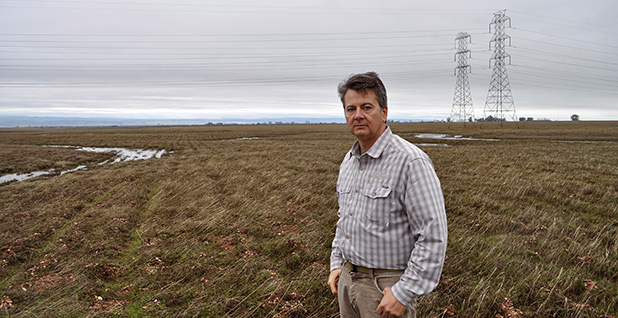 Earlier this month a federal court in California ruled that a farmer plowing his land without a permit from the federal government is breaking the law. In 2013, the Army Corps of Engineers, without any notice or due process, ordered the owners of Duarte Nursery to cease use of their land for allegedly violating the Clean Water Act (CWA). The violation: plowing. The California court agreed with the federal government’s action, despite the fact the CWA specifically exempts normal agricultural activities like plowing from regulation. This overreaching assertion of federal power is not an isolated incident. For decades, the EPA and the Army Corps have aggressively sought to stretch the bounds of the CWA. When Congress passed the CWA, the federal government was given regulatory authority over “navigable waters,” which the statute additionally defines as “waters of the United States.” While the word navigable may seem to have an obvious meaning to most Americans as bodies of water that can be navigated by watercraft, federal bureaucrats have identified these terms as a license for a massive regulatory land grab. Asserting ambiguity, the EPA has tried to use the CWA language to claim control over essentially any water which eventually might find its way into a navigable waterway. They have asserted jurisdiction not just over logical sources like large tributaries of navigable waters or wetlands immediately adjacent to rivers but have tried to reach their regulatory arms to isolated puddles or dry stream beds which only see running water during large rainstorms. This overreach has been repeatedly struck down by the Supreme Court, most recently in 2001 and 2006. But these repeated rebukes have not stopped the regulators. In June of 2015, EPA finalized yet another rule seeking to broadly define “waters of the US” under the CWA. Like its previous attempts, this rule goes well beyond any reasonable definition of “navigable waters.” The rule would require federal permits even for ditches and puddles, almost any water within the boundaries of the United States. This sort of excessive permitting requirement would impose new costs on virtually every American: not just farmers, but anyone who owns land. Thankfully, this new rule has been put on hold nationwide for the moment by federal courts while its legality and constitutionality is challenged, but the danger remains. The bureaucrats have made clear with their repeated attempts at overreach using the CWA that they will not be dissuaded by the courts, even if this newest attempt is also struck down by the Supreme Court. This saga shows the folly of broad grants of power to regulatory agencies. The bureaucracy cannot be trusted to use its powers with restraint. When the power of the regulatory state grows, the liberty of the American people diminishes. Reining in the power of the regulatory state should be a priority of all American citizens. This week the lawsuit over the definition of “waters of the United States” (WOTUS) under the Clean Water Act (CWA) took its next step at the 6th Circuit Court of Appeals. The parties challenging this massive power grab include dozens of states and business groups. In their filings to the court, the challengers spelled out the illegality and unconstitutionality of the rule as well as describing the corrupt and dishonest means the Environmental Protection Agency (EPA) used to rush the rulemaking to completion. On Friday, the EPA was dealt another loss by a federal judge as the U.S. Court of Appeals for the 6th Circuit authorized a national stay against the Waters of the United States (WOTUS) rule under the Clean Water Act. This comes after a federal judge in North Dakota had already granted a preliminary injunction against the EPA in August, only a few hours before the rule was about to be implemented. A federal judge has granted a preliminary injunction against the EPA, stopping a controversial water regulation in 13 states. The states in question are suing to stop the new water rule, which would violate private property rights and substantially harm individuals and businesses alike. The injunction stops the EPA from enforcing its rule until the results of the lawsuit are decided.